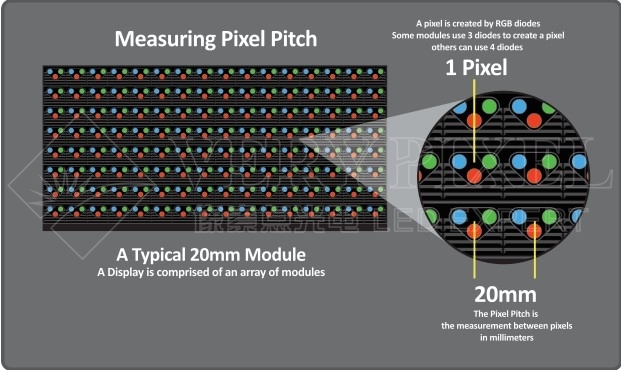 Understanding the resolution of LED display screen - Shenzhen Verypixel Optoelectronics Co., Ltd. 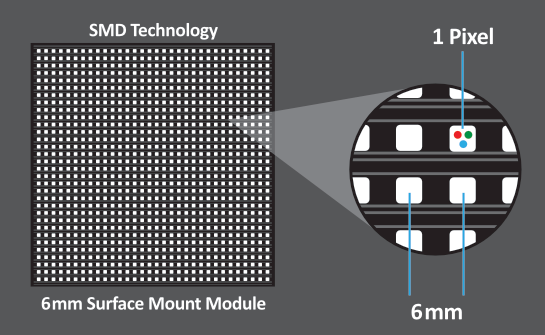 The resolution of a LED panel is measured by the distance of the pixels, also called the pH, the shorter the distance, the greater the number of pixels and consequently, the higher the resolution and the image formed on the LED screen. For example, a LED panel having a distance of 20mm between the pixels is called the PH20, and which the distance between the pixels is called 6mm pH6 and so on. The lower the pH the better resolution of the panel.